Originally performed at the Kennedy Center for the unveiling of the Martin Luther King Jr. Memorial, and later as a tribute to Walter Dean Myers, this stirring and inspirational poem is New York Times bestselling author and National Book Award finalist Jason Reynolds’s rallying cry to the dreamers of the world. For Every One is just that: for every one. For every one person. For every one dream. But especially for every one kid. The kids who dream of being better than they are. Kids who dream of doing more than they almost dare to dream. 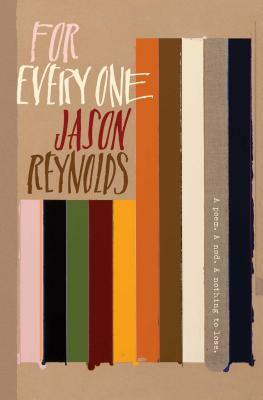 Kids who are like Jason Reynolds, a self-professed dreamer. Jason does not claim to know how to make dreams come true; he has, in fact, been fighting on the front line of his own battle to make his own dreams a reality. He expected to make it when he was sixteen. Then eighteen. Then twenty-five. Now, some of those expectations have been realized. But others, the most important ones, lay ahead, and a lot of them involve kids, how to inspire them. All the kids who are scared to dream, or don’t know how to dream, or don’t dare to dream because they’ve NEVER seen a dream come true. Jason wants kids to know that dreams take time. They involve countless struggles. But no matter how many times a dreamer gets beat down, the drive and the passion and the hope never fully extinguish—because just having the dream is the start you need, or you won’t get anywhere anyway, and that is when you have to take a leap of faith. A pitch perfect graduation, baby, or love my kid gift.